Components for mixing water and wine. A 3:1 dilution is obtained with water and ice. Cutting wine costs with inexpensive wines is one way to save money. Take these cost savings one step further by diluting the wines with water as was done in the classical cultures of Greece and Rome. The Greeks and Romans mixed their wine with water in a large bowl called a krater and drank their wine in this diluted state. One Roman definition of an alcoholic was a person who consumed his wine without diluting it. Mixing wine with water had several beneficial results. The alcohol disinfected the water, the water helped quench the drinker’s thirst and the amount of wine that would be consumed was reduced. When Rome fell to the Germanic tribes, members of the new dominant political force in Europe made their own wines and drank it undiluted. This method of wine consumption became dominant and continues today. Although wines were blended, only in exceptional cases were diluents like fruit juices and fruits mixed with wine to make Sangria. Worldwide, the custom evolved into drinking undiluted wine; except under very exceptional circumstances where other fluids were added to wine when sailors’ water supplies ran out, cities were besieged, etc. Consuming wine “in the Roman fashion” has merit today. It is akin to buying three bottles of wine for the price of one. In addition, this cutting with wine with water reduces the amount of sometimes-reactive alcohol that reaches the stomach. The usual result is that less wine is drunk at a sitting. An added modern benefit is that when wine is mixed with cold water or green tea and iced, the result is a cooling Summer drink. Inexpensive red wines are good candidates for water-extended summer drinks. A dilution of one part wine to three parts water works well with a full-bodied Burgundy or other red wine. 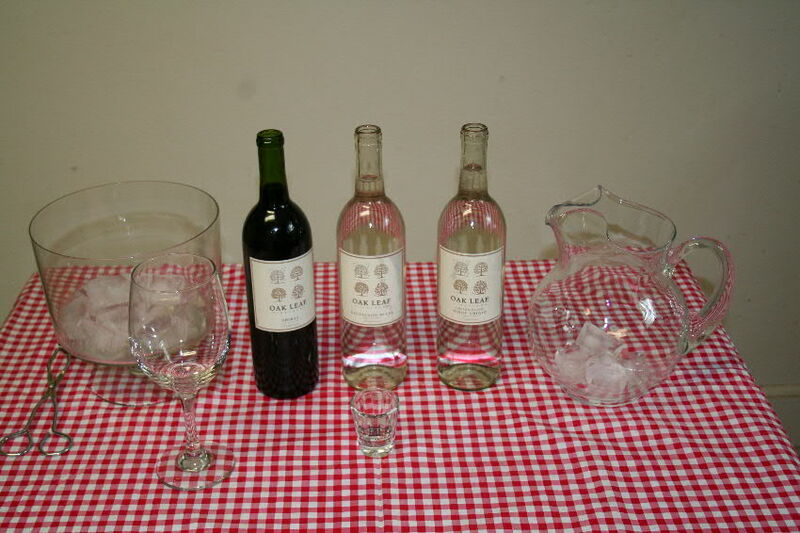 Although non-traditional, serve diners a half-an-ounce of wine in a shot glass straight from the bottle and present the remainder in a diluted state for a money-saving, but satisfying, alternative. This video is also available on YouTube at: http://www.youtube.com/watch?v=AazzBLEMPZg&layer_token=662101bf7b597ce0 should you have any trouble viewing it here.